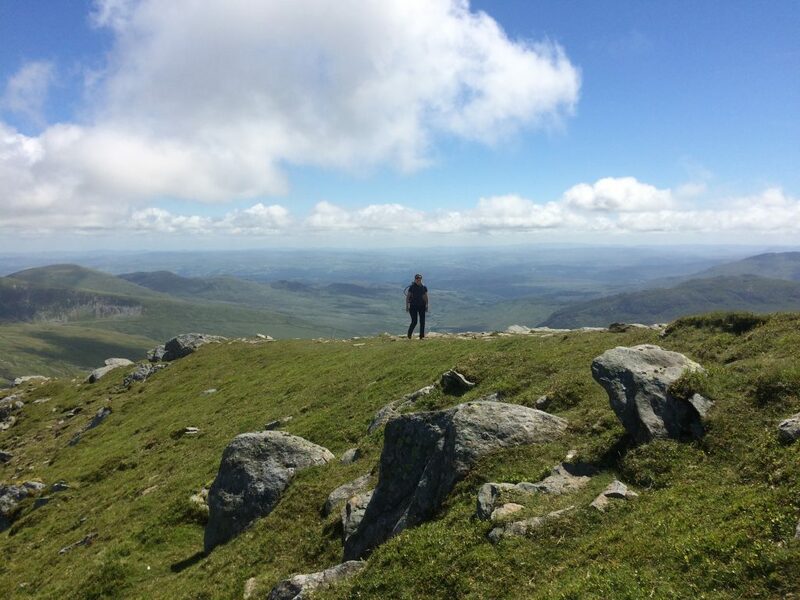 We had decided to walk the Carneddau horseshoe from the Ogwen valley. 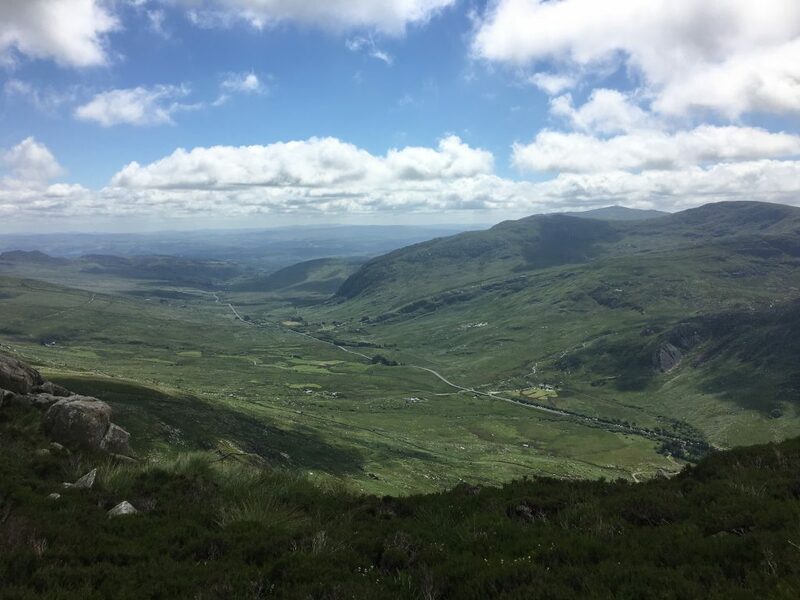 The Carneddau mountains can be found on the north side of the A5 as you leave Capel Curig heading north and every previous time we had attempted to climb them we had to turn back due to poor weather and fog. 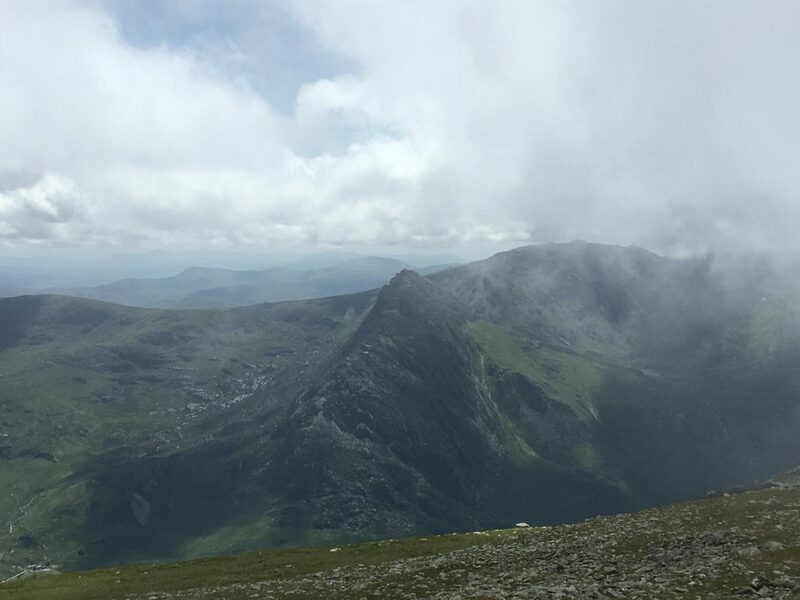 This was our fault, they have always been a second choice mountain for us with the more exciting Glyderau on the other side of the valley taking first place. We could have wild camped in one of the many laybys, but we needed to empty and refill and so we stayed at the campsite at Gwern Gof Isaf. 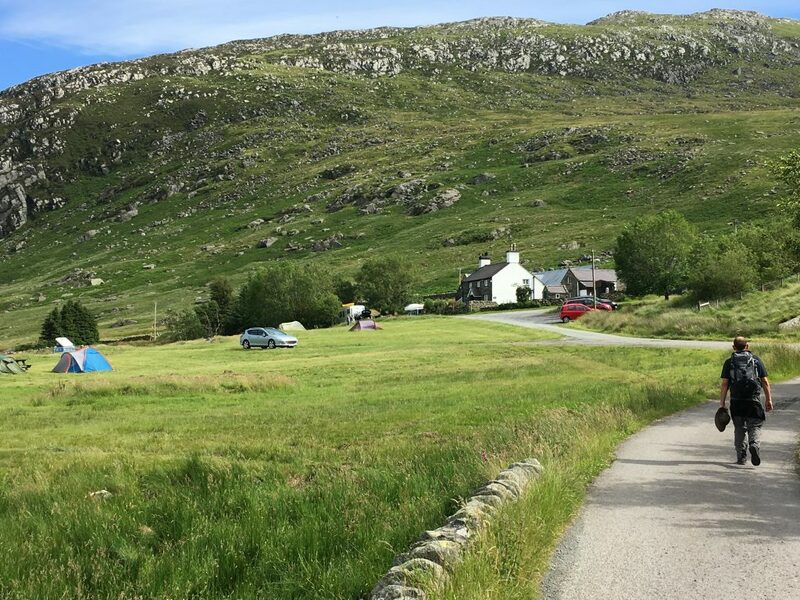 This is a good value campsite ideally located for mountain walks direct from the campsite and it has a great atmosphere with so many walkers on site. We had stayed here before in Bertie last October for my Birthday so we knew there was hardstanding for motorhomes even though the site is mostly aimed at tents. In fact there were a number of campervans, a small caravan and another motorhome who also used the site over the couple of nights we were there, so we didn’t feel too out of place. Our walk up the Carneddau was really pleasant and we didn’t miss the excitement of scrambling on Tryfan too much, although it was always in sight across the valley and we did end up taking a lot of pictures of it and discussing the different routes up that we had done previously, so we must have missed it a little. 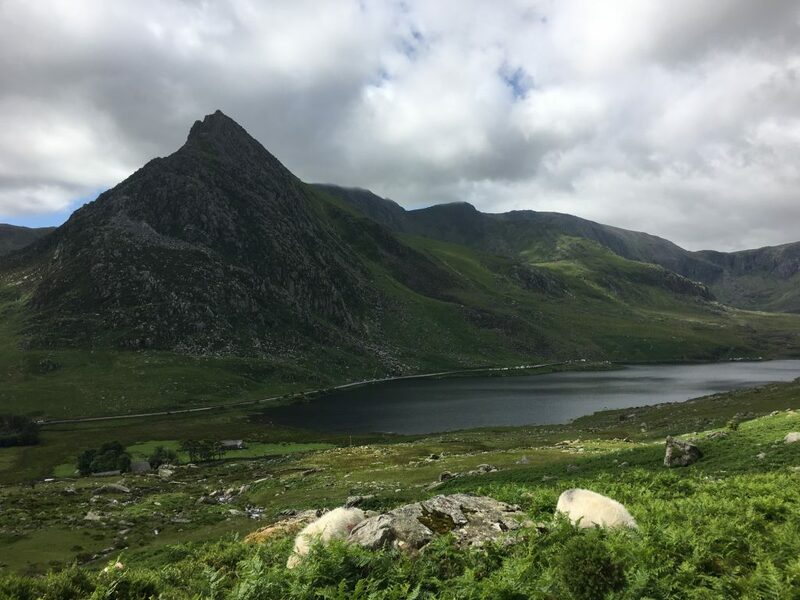 The rains of the previous 48 hours had swollen the streams that rushed down from the lake in Cwm Lloer and added interest to the initial stages of the walk as we followed the path backwards and forwards over the water. There was a short scramble up the east ridge of the first summit – Pen Yr Ole Wen – we tried to make it more exciting but there wasn’t much opportunity amongst the jumbled rock and heather. After overheating in the sun on the way uphill the cloud started to roll over us. As we meandered along across grass and boulders to the summit of Carnedd Dafydd we enjoyed the moments that the views opened up between each line of cloud, one minute we could see for miles across to the Menai Straits and the broad estuaries at Caernarfon and Bangor, the next minute a peek at the summit of Carnedd Llewelyn, the next minute nothing but grey fog and the most immediate grass and rock. 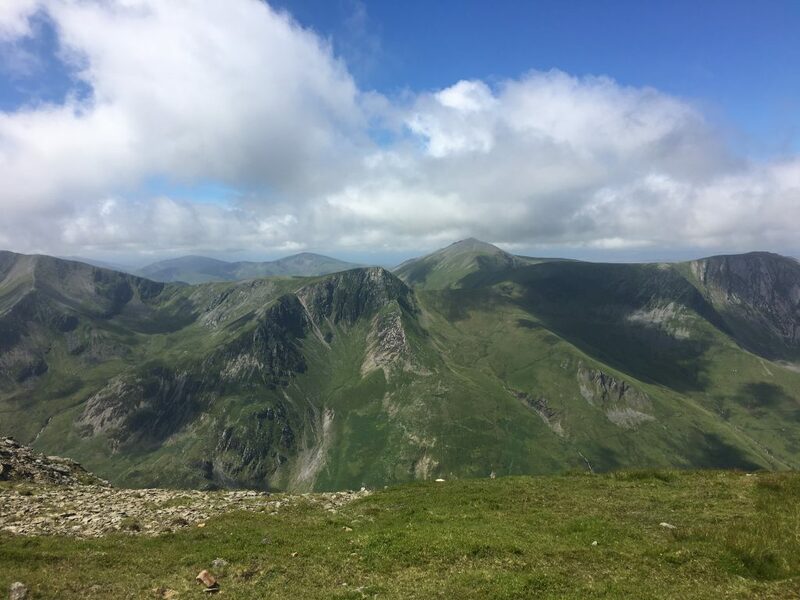 Then as we started across to Carnedd Llewelyn – the highest point of the walk – the cloud cover lifted and we were back in sunshine again. On the slopes between Carnedd Llewelyn and Yr Elen we spotted what seemed like a strange shaped and coloured sheep, but it was a dun coloured foal. As we watched it we then saw a grey mare who was joined by the foal, the two ambled along the side of the mountain, occasionally stopping to allow the foal to nurse, it was lovely to see these wild Carneddau ponies. 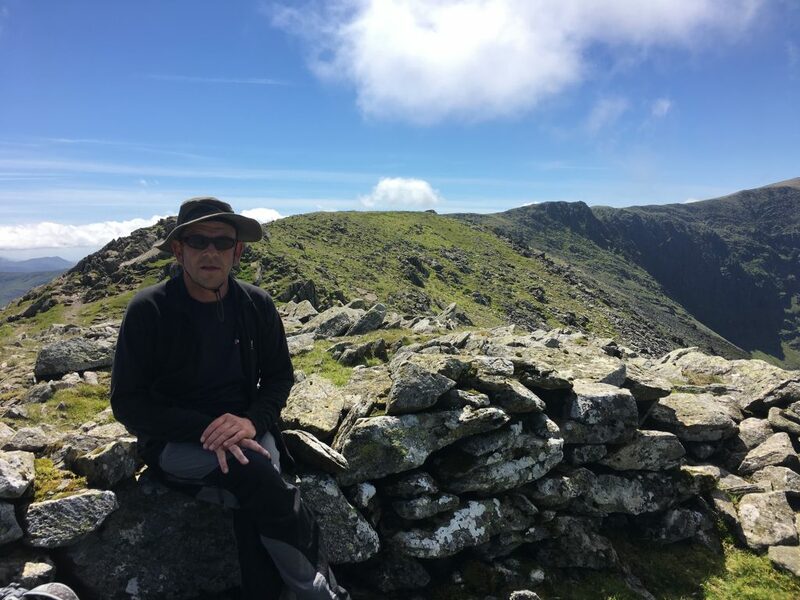 After Carnedd Llewelyn we just had the downhill path that would take us down to the campsite. There was a short scrambling section but otherwise it was all straight forward paths via Ffynnon Llugwy reservoir and back to Bertie.